5 races over 5 nights comprising both road and trail running. Together they total 40km, with opportunities for fast times on flat courses, and more challenging trail routes in Dawsholm and Mugdock Parks. The races are held on five consecutive nights starting on Monday the 1st August 2016. See here for a summary of the races. There are prizes this year with a total value of £750 for the tour. Finishers of the series in 2015 had a one in three chance of winning a prize. Further details on the location of each race and facilities can be found on the separate race pages on EntryCentral. Information will also be available on the Tour of Clydeside Facebook page. If you want to enter the full Tour of Clydeside you must enter online here via Entrycentral. Each race is also an open event and entry to each individual race is also available on Entrycentral. This means not all runners will be participants in the tour. Entries for the Tour close at midnight on 31st July 2016. Entries for individual races close at midnight on the day prior to the race. There will be no late entries. Entry to the series or an individual race will not be possible on any race day. 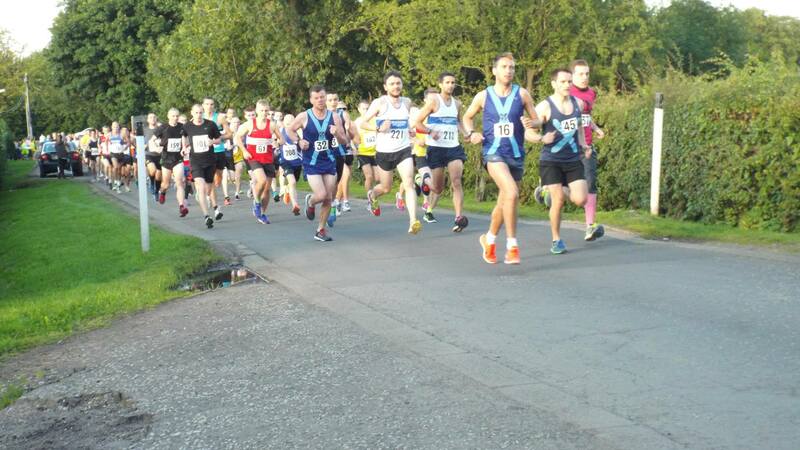 Each race starts at 7.30pm with details on the course available from 7pm. Opportunities to warm up in off-road spaces are available at the start area for each of the races. Your race number can be collected from 6.45pm at Castle Semple Park, Lochwinnoch prior to the start of the first race. This number MUST be retained for all races and worn on your top/vest. Please note that this may not correspond to the number allocated by EntryCentral so that you will be identifiable as a Tour entrant. Apart from the Bella Belter 10k there are no showers, toilets or changing facilities available. Will be posted on our Facebook page as soon as possible after each race, and copies will be posted at the start area of each subsequent night so that you can track your own accumulated performance and others around you. There are no prizes for the individual races except for the Bella Belter, but a wide range of prizes for the Tour, based on the accumulated positions in each of the 5 races. Presentation of the prizes, available across different age groups will be made on the Friday evening. There are prizes this year with a total value of £750 for the tour. Finishers of the series in 2015 had a one in three chance of winning a prize.